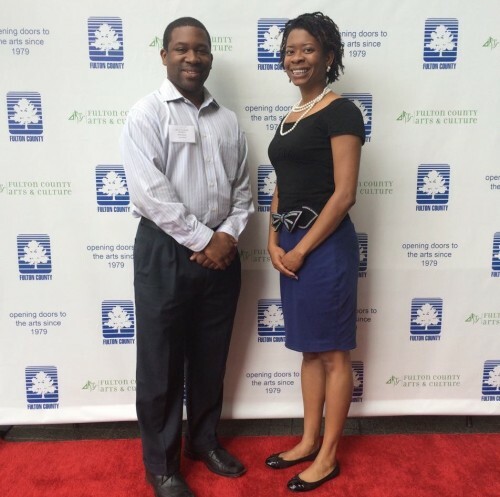 AMP Executive Director Dantes Rameau and Director of AMPlify Aisha Bowden, at the award ceremony for the Fulton County Arts Council in 2015. The Atlanta Music Project is pleased to announce that it has been awarded, for the second year in a row, a grant award from the Fulton County Arts Council. The award supports several of AMP programs, including the AMP Orchestra, the AMPlify Choir Flagship at the Kindezi School West Lake, the AMP Academy and the recently launched AMP Summer Series. The grant award constitutes major funding provided by the Fulton county Board of Commissioners.